Pink and Brown is the new crave and we have it. 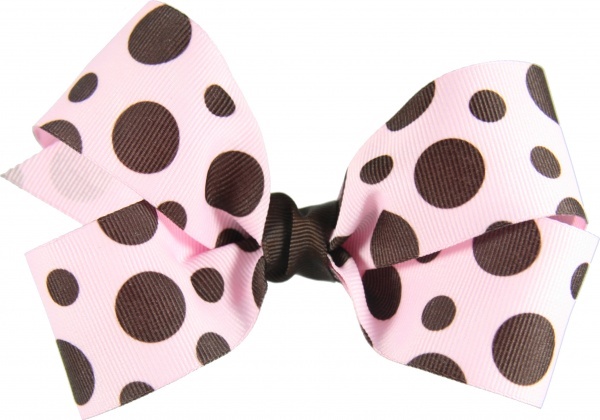 This is a Pink and Chocolate Brown Polka Dot Grosgrain boutique style hair bow. It is wrapped with a 1.5 inch chocolate brown center and is attached to a 2 and 3/8 inch French Barrette. Your little girl will look adorable in these brown polka dots.